Connectomes are brain wiring diagrams at the synapse level. They are crucial for reverse engineering circuit function but are extremely scarce. 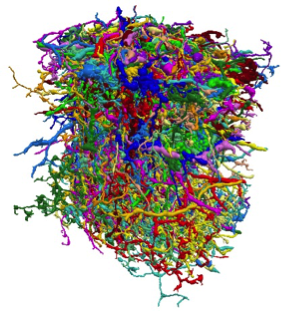 Connectome reconstruction is challenging because it requires imaging and identifying axons and dendrites over tens of microns at nanometer resolution. Currently, the only imaging technology that can bridge this range of scales is serial electron microscopy. The bottleneck in connectome reconstruction lies in the tracing of axons and dendrites, through millions of serial electron micrographs. When done manually, a connectome reconstruction takes many years, even for a relatively small circuit such as that of C. elegans. We have automated high-throughput connectome reconstruction and assembled the largest connectome to date (based on synapse count). Because humans are still superior to computers in reconstructing connectomes, we are now developing biologically inspired reconstruction algorithms. In parallel, we are developing methods to infer circuit function from connectomes. 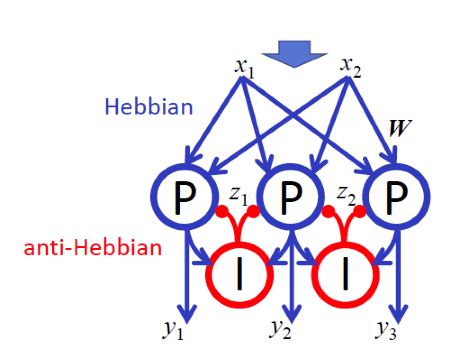 Despite our extensive knowledge of neuron physiology, there is no commonly accepted algorithmic theory of neural computation. We believe that such a theory is necessary for understanding the brain. Here, we explore the hypothesis that neurons respond to like stimuli more similarly than to more disparate stimuli. Based on this hypothesis, we formulate mathematical objectives and derive online algorithms to solve them. Calcium imaging is an increasingly popular experimental method that enables monitoring of large, targeted, neural populations in alive and behaving animals. This microscopy method offers an indirect signal that needs to be preprocessed for the extraction of the actual neural population activity. Moreover, advances in microscopy techniques have enabled experiments with data rates that can reach hundreds of gigabytes in a single day, posing significant challenges in terms of handling and processing. 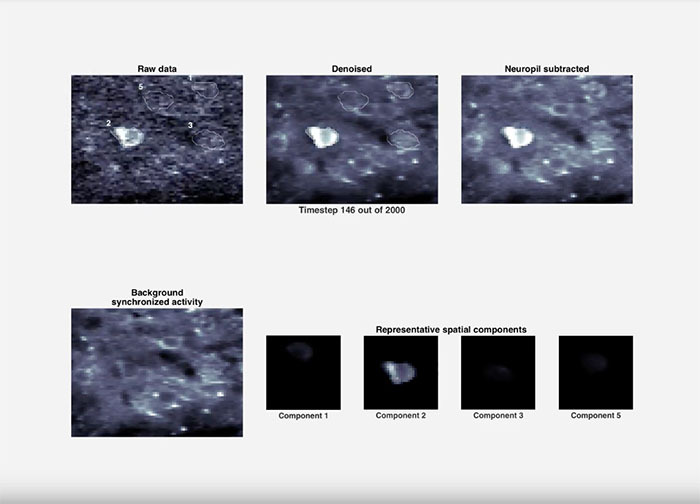 We develop algorithms and open source software for dealing with the universal preprocessing problems in calcium imaging data analysis (motion correction, source extraction and neural activity deconvolution) in a large scale. Denoising of calcium imaging data using CaImAn. 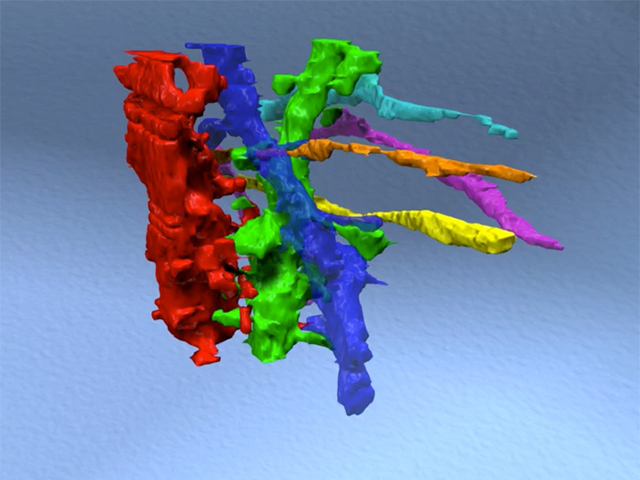 Courtesy of Eftychios A. Pnevmatikakis and Andrea Giovannucci, Center for Computational Biology, Flatiron Institute; data from W. Yang, Yuste Lab, Columbia University, New York City.